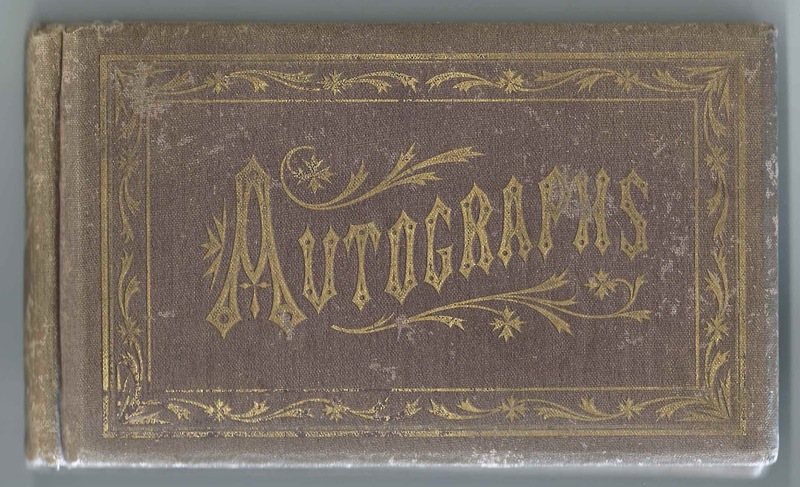 Autograph album with inscriptions from the 1870s, mostly, but not all, from students at Wabash University at Crawfordsville, Indiana. 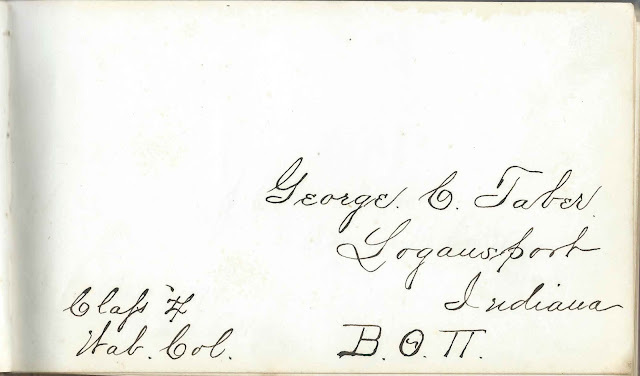 Most, if not all, of the students appear to have been members of Beta Theta Pi, as shown in the inscription by George Cyrus Taber, a member of the Class of 1874, who would become a lawyer at Logansport, Indiana. The first page present in the album is the title page; any front end papers are missing, including one that might have contained the owner's name. He was most likely a student and thus a male, as the college has always been a males-only institution. 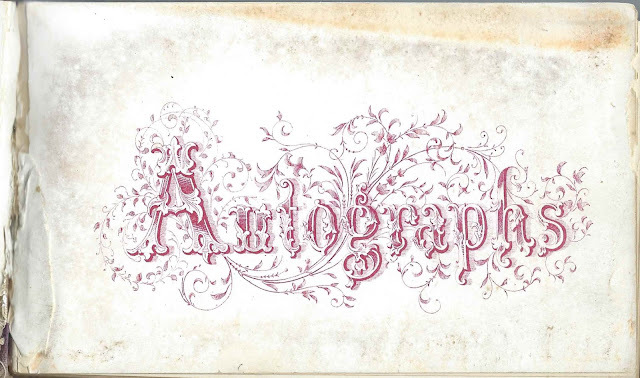 There are a few inscriptions by women in 1877, while most of the inscriptions were penned earlier by members of the Classes of 1870-75.